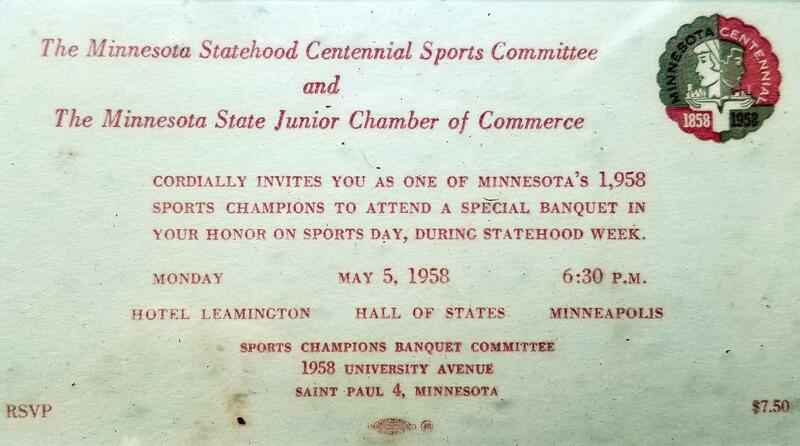 Minnesota, in the year 1858 was celebrating its 100th birthday as a State to the Nation. 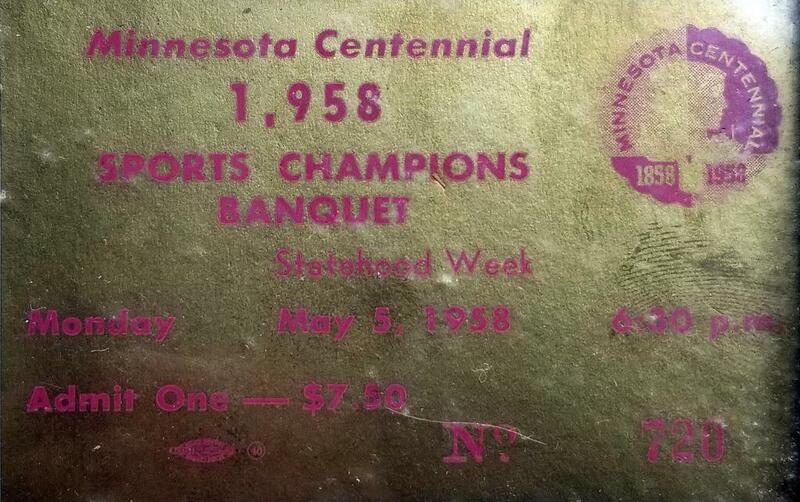 The Minnesota's State Centennial (1858-1958) came in the month of May of 1958. 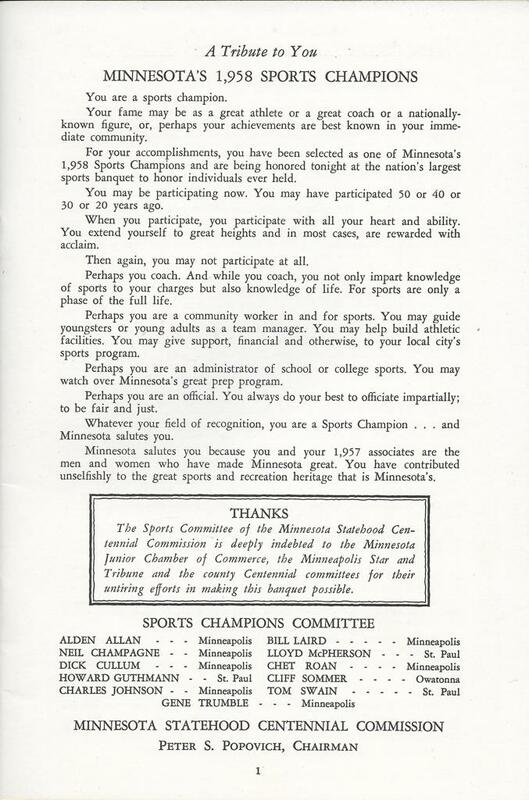 To honour the event, the Sports Committee of the Minnesota Statehood Centennial Commission, along with the Junior Chamber of Commerce, the Minneapolis Star and Tribune, and the County Centennial Committee created the Centennial Commission to honour 1,958 Sports Champions on Sports Day of Statehood Week across 97 Minnesota Counties into the State Centennial Hall of Fame. 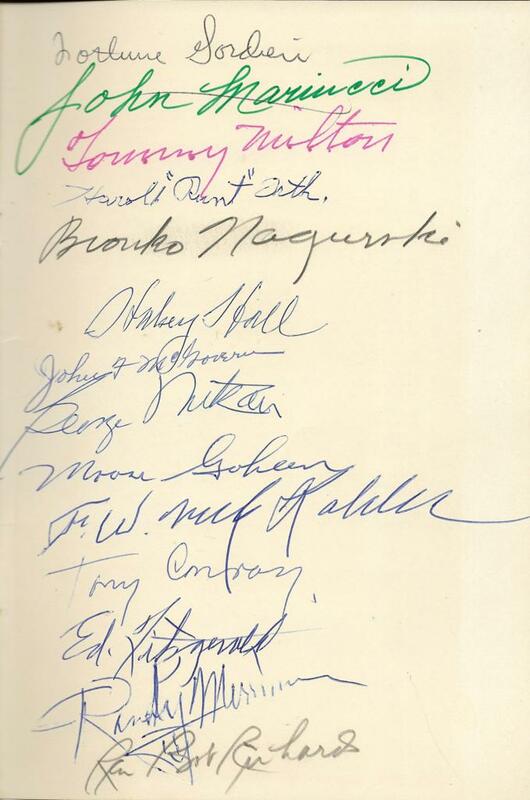 The selection was the culmination of over 8 months of planning, with the final celebration dinner taking place on May 5, 1958. 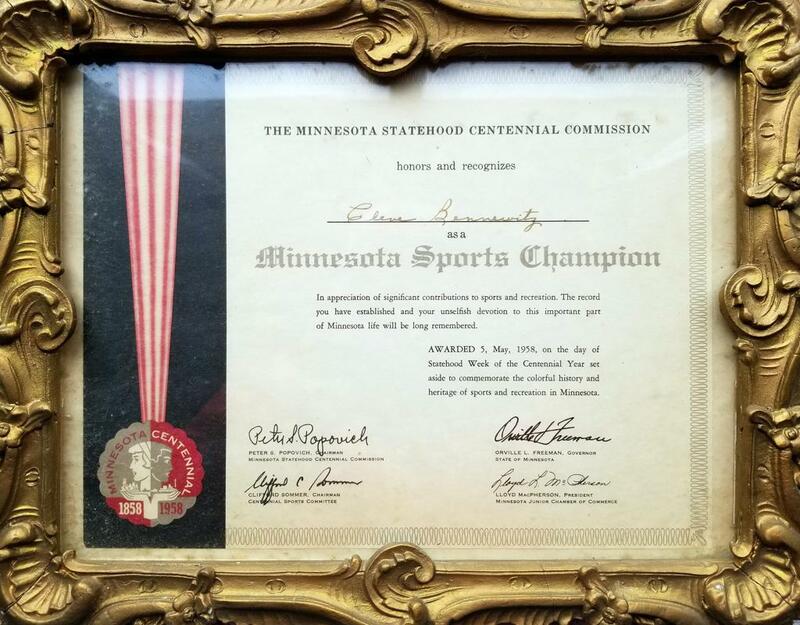 The idea for the Centennial Fete started in September 1958, when the first meetings were held to discuss the possibility of honoring 1,958 worthy Minnesotans who never had been recognized previously. 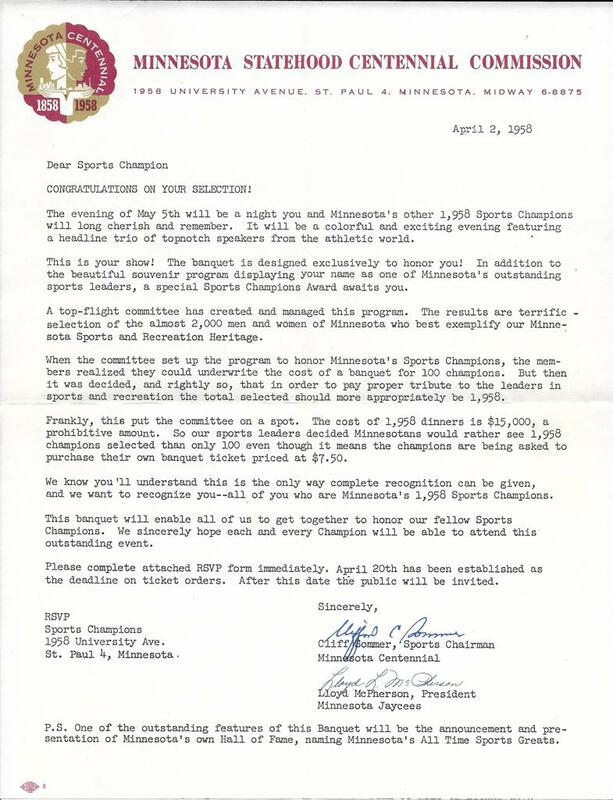 Spearheading the project from inception included: Tom Swain - Executive Director of the Centennial Commission, Cliff Sommer - State Sports Chairman, Gene Trumble - representing the working force of the Jaycees, and Neil Champagne - Head of Sports Champions Committee. 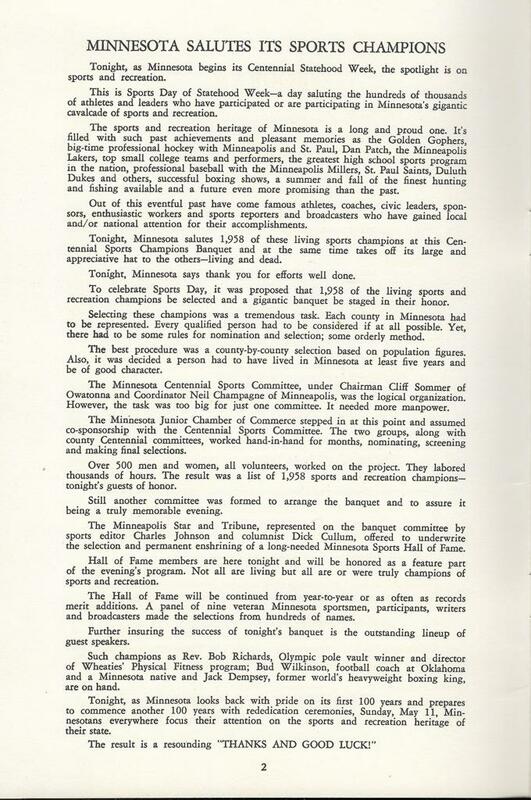 Throughout the Centennial year, the Centennial Sports Committee had focused the nation's attention on the great North Star state and its glorious sports and recreation heritage. 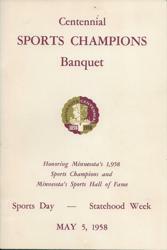 The climax was the Sports Champions Banquet where 1,400 spectators came out to celebrate the champions. 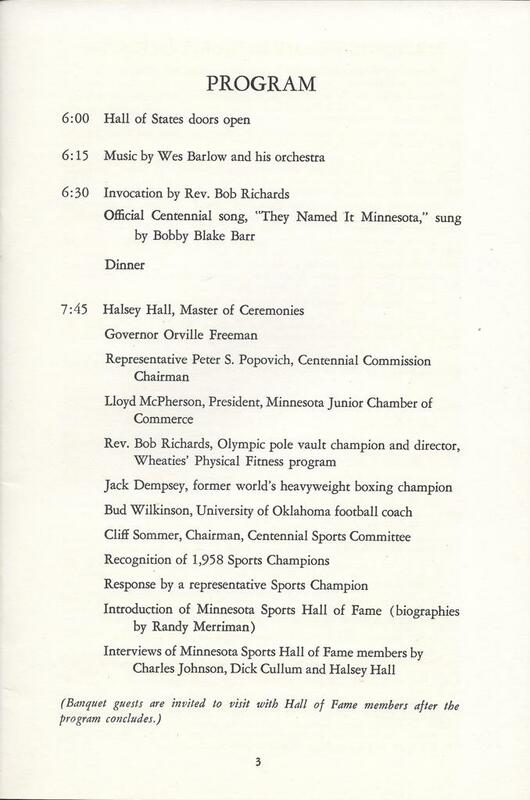 Following greetings from then Governor Orville Freeman, principal speakers included; Bud Wilkinson - Oklahoma University Football Coach, Jack Dempsey - Former Heavyweight Boxing Champion, and Bob Richards - three time Olympic Pole Vault Champion. Halsey Hall was the Master of Ceremonies for the event. 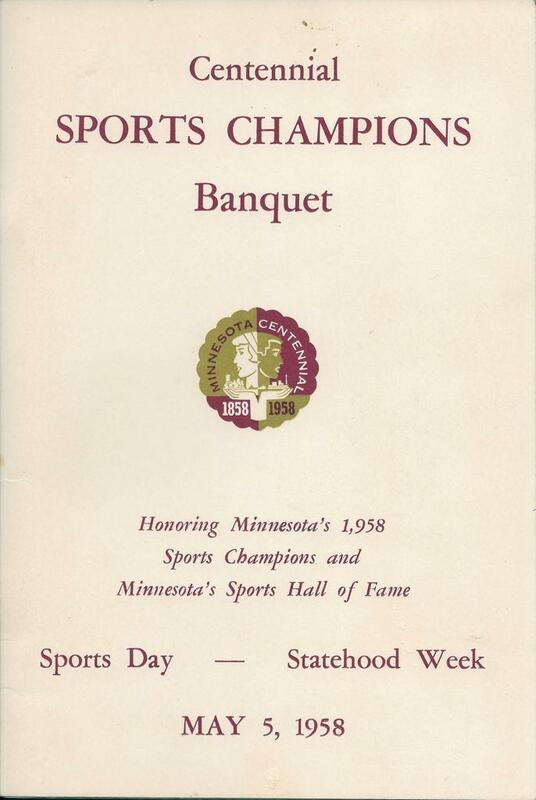 Selections into the Hall of Fame were made by a committee of hundreds of men and women throughout the State in almost every phase of sports divided into 87 counties where each had a quota to select based on population. 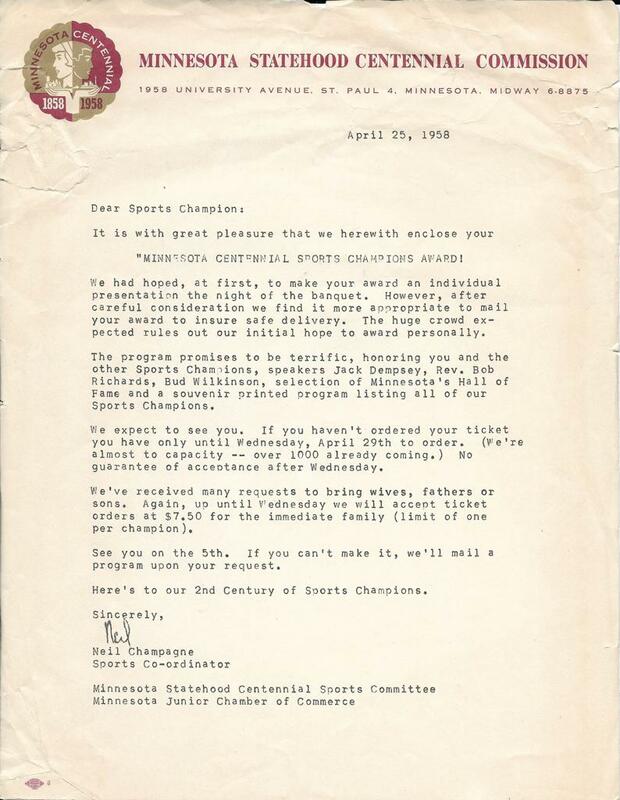 In each instance, a committee was set-up to accept nominations to best determine the 'champions of the past' on the basis of: Active participation, Coaching, Leadership, and unselfish voluntary contribution to sports - with the ultimate aim to name 1,958 champions - one for each year. 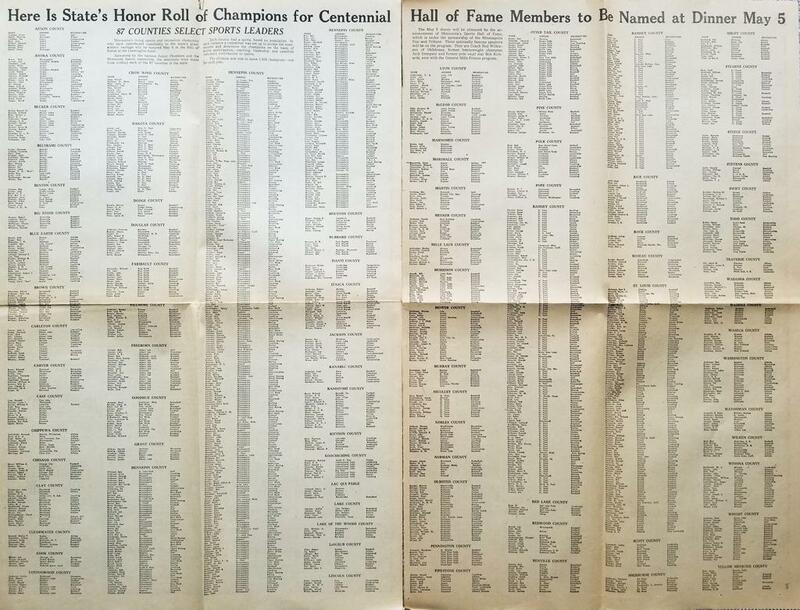 The induction was a; who is who of sports names in Minnesota, coming 15 years before the induction of Eveleth, MN U.S. Hockey Hall of Fame - where many of the inductees of this 1958 induction, were among the inaugural sports inductee class of the U.S. Hockey Hall in 1973. 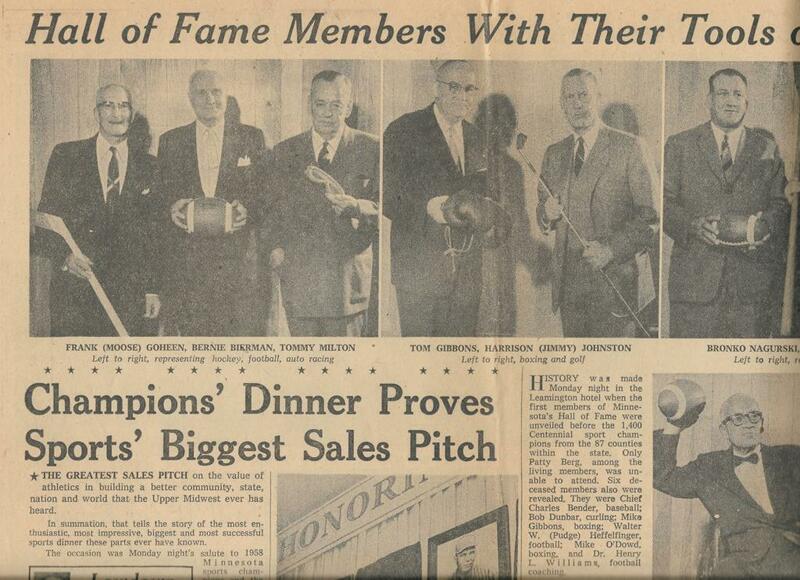 Today, this induction ceremony from 1958 is very much forgotten, as there is no place to go to remember this ceremony, or a true "Hall of Fame" brick & mortar building to remember this occasion. 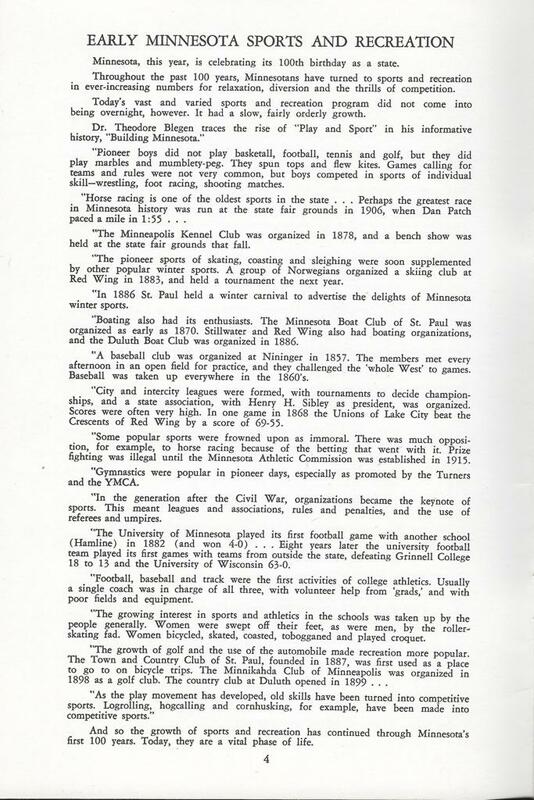 Vintage MN Hockey strives to never forget the inductees, and as noted in images and list below - remembers the hockey only inductees that were among this once prestigious Hall of Fame. 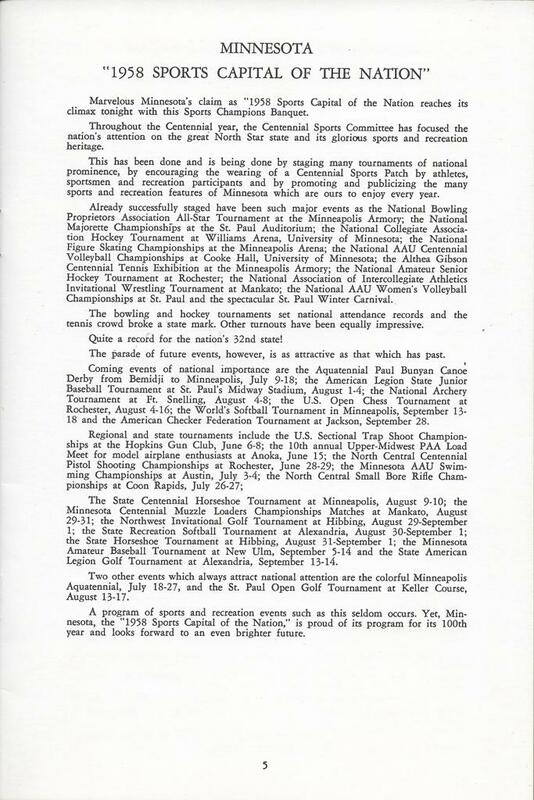 (Of note, many local individuals, that were very involved with hockey such as Frank Buetel (Announcer), and Lyle Wright (Promoter) were very involved in hockey throughout their careers - but were not recognized under category hockey). 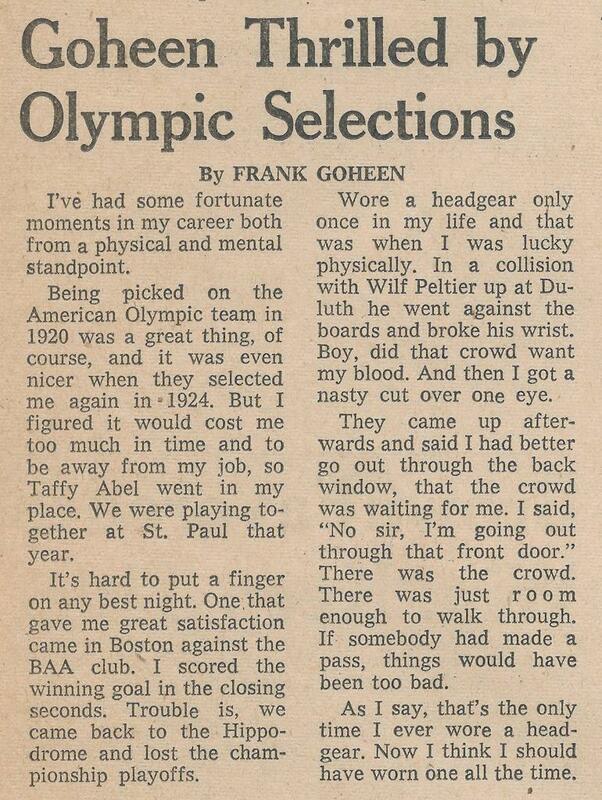 Also curiously noted, Herb Brooks was among the 1,958 inductees while actively playing for John Mariucci at the University of Minnesota - a sign perhaps that the induction committee saw great things to come with this then student athlete?